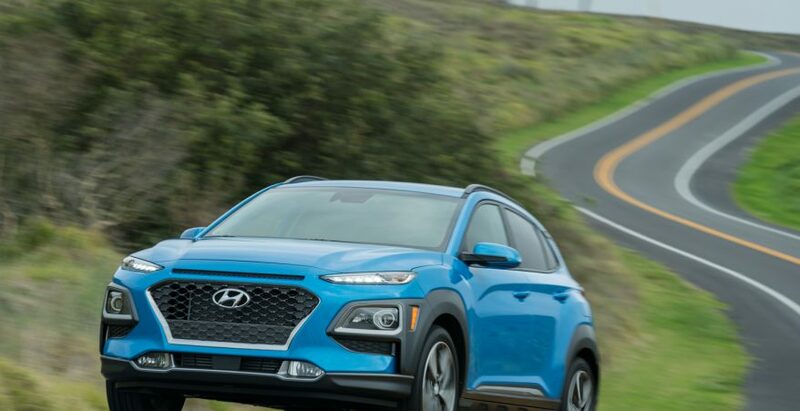 Hyundai’s 2019 Kona and 2019 Veloster N have earned Best Buy Awards from the prestigious jury at Kelley Blue Book in the categories Best Subcompact SUV and Best Performance Car. The Best Buy Awards go to the vehicles that excel in 15 categories and undergone a comprehensive evaluation tests by experts in the field. As you might know, Hyundai has developed Kona in such a way that brand’s most successful SUV appeals to large list of buyers. The vehicle is powered by a fuel-efficient 2.0-liter engine that offers EPA-estimated 33 MPG highway CO2 emissions and offers smooth and reliable driving dynamics with responsive controls and overall pleasurable driving experience, thanks to the safety suite – Lane Keeping Assist System, Driver Attention Warning and Forward Collision-Avoidance Assist. On the other hand, Veloster N offers a larger 2.0-liter direct-injected turbocharged engine that generates a total of 275hp and 260lb-ft of torque and features a turbo system intercooler for more efficient cooling. This system can also benefit from a two-stage induction system for maximum output at all rpm ranges. But let’s get back to Kelley Blue Book’s awards, shall we? The event and the respective awards are a result of a year-long comparative vehicle evaluation and rigorous test programs. After evaluating about 300 new-car models for the upcoming 2019 model season, expert editors and jury have narrowed the contestants to about a few dozen machines. These particular vehicles go head-to-head in testing and evaluation that eventually determines the winner in the Best Buys category.